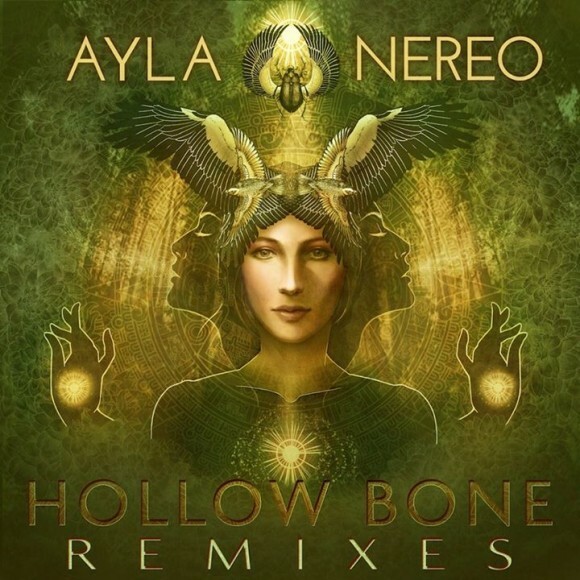 Alya Nereo’s Hollow Bone Remixes compilation is now out on Jumpsuit Records. It features remixes by E O (a.k.a. Eric Oberthaler), Kyrstyn Pixton, Random Rab, Makhana, Mbanza, Antandra, Scott Nice, Ryan Herr Music, SriKaloGY, AtYyA, Kalya Scintilla, D.V.S*, The Human Experience – David Block, Lemurr, saQi, Queued Time Music aka Walking ॐ Om / DJ Osmosis, Living Light and ill-ēsha. The compilation is an amazing journey through world music influences, bass music and Ayla’s beautifully inspired vocals. It features headlining artists along with upcoming winners of her remix contest. There is a lot of talent packed into this full length album. We’ve enjoyed listening to it from start to finish numerous times. It’s available for ‘Name your price’ on Ayla’s bandcamp page. ‹ When did this become hotter?